You can make a donation via check or credit card. Locks of Love gladly accept Visa, MasterCard and American Express. Locks of Love is a 501(c)3 organization and all financial contributions are tax-deductible. 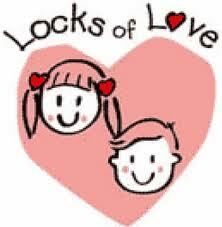 You may drop off your doantions at our salon and we send them through to Locks of Love. Or you may mail or fax your donation to Locks of Love, or make an online donation. To make an online donation to Locks of Love via Network for Good, please visit our profile.